Janus' Bill Gross laid out his case for the move as critics said widespread short selling of 10-year bunds would lead to "financial Armageddon." Bill Gross called 10-year German bunds the “short of a lifetime” in a tweet on Tuesday. He expanded on that comment in an interview with Bloomberg TV, suggesting investors wait another 12 to 18 months when quantitative easing ends in the eurozone before shorting the bund. He said the expected inflation rate for the next five years will be around 1.9% in both Germany and the U.S., and the yield will be about 200 basis points lower in Germany. “So equal the quality, yes, but 200 basis points lower in Germany. What does that say? It either says U.S. Treasuries are a whale of a buy, or it says that […] German bunds are a whale of a short. I’m suggesting if you don’t want to hedge that the best bet is to sell the bund as opposed to buy the Treasury,” he said. The second part of Gross’ tweet recalled a move made by George Soros and Stanley Druckenmiller to short the British pound in the early ‘90s. However, Mark Gilbert, a columnist for Bloomberg, warned that widespread shorting of the bund could spell “financial Armageddon.” Soros and Druckenmiller made $1 billion on that bet, but Gilbert writes that when the U.K. stopped trying to prop up the pound to trade at around 2.95 deutsche marks, it fell 14%. To replicate that performance, Gilbert said the bund price, which as of Wednesday morning was trading at 104 with a 0.09% yield, would have to fall over 89 points by May 13. “At that price level, the yield would shoot up to almost 1.7%, causing a tsunami of repricing across trillions of dollars of government debt around the world,” Gilbert wrote. He acknowledged that it’s “intuitively uncomfortable to be lending money to the German government for a decade in return for less than one-tenth of one percent,” so Gross may be right. 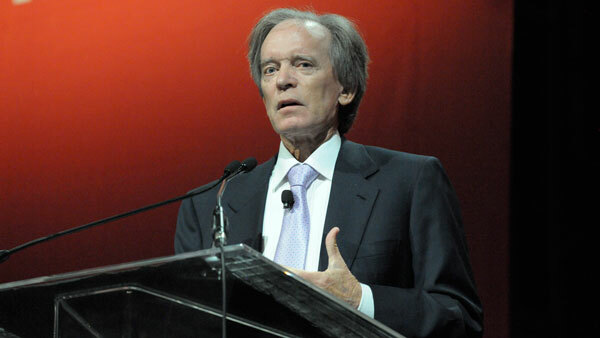 — Check out Bill Gross Blasts ‘Hostile’ Investing Climate, Says ‘New Neutral’ Rate Now Zero on ThinkAdvisor.